It is estimated that over one quarter of the population in Ireland will experience mental health problems in their life time. One in five of this population will experience serious mental illness: “Adults with a serious mental illness are persons: (1) age 18 and over, (2) who currently or at any time during the past year, (3) have a diagnosable mental, behavioural, or emotional disorder of sufficient duration to meet diagnostic criteria specified within the Diagnostic and Statistical Manual of Mental Disorders” (DSM V, 2013). While the general populations’ life expectancy is increasing, for people who have experienced serious mental illness life expectancy is decreasing by up to 30 years. Previous research indicates that access to health care facilities for people with pre-existing diagnosed serious mental illness is compromised by social inequalities. This study set out to provide a better understanding of the experiences of people with pre-existing diagnosed serious mental illness (SMI) with regard to their palliative care needs in Ireland. The project employed a sequential two strand mixed methods design. The project commenced with the quantitative strand (an all island survey completed by General Practitioners (GPs) and a Republic of Ireland survey completed by psychiatrists), followed by a qualitative interview strand (in-depth interviews with a selection of psychiatrists that had taken part in the quantitative strand). The study has clearly identified that among people with SMI in Ireland, a significant proportion are identified as having serious physical health conditions including cardiovascular, respiratory and diabetes related disorders and of those a considerable proportion require palliative care. Almost half of GPs (47%), and 56.3% of psychiatrists surveyed agreed that patients with a diagnosed SMI were less likely to have their palliative care needs identified compared to patients without a mental illness. Respondents also overwhelmingly agreed (Psychiatrists 90%; GPs 82%) that people with SMI are more likely to have physical health conditions overlooked than other patients. What is evident from this study is that people with SMI are disadvantaged as they are less likely to raise concerns about their physical health needs, to have health needs identified, or to access or to be offered palliative care. Findings from this study also portrayed the physical health care system as resistant to accepting people with SMI into the acute services. Interviewed participants identified the complex nature of managing co-morbid physical health issues. Requiring teams to engage in multi-agency and cross disciplinary collaboration. 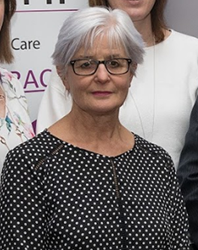 However, an absence of existing and/or underdeveloped structures within the Irish health care system to support such collaboration was identified as a barrier to the implementation of best practice evidenced based knowledge. To reduce existing health disparities currently impacting the lives of people with SMI and their families. This study recommends interventions at system level: policy, service planning and community levels, rather than focusing exclusively at the level of the individual. It is accepted that the key to providing optimum palliative care begins with the recognition that a gap exists and that such care is required. At the outset of this study, there was no empirical evidence originating from within the Irish context as to the need for palliative care services among those individuals who have a diagnosed pre-existing SMI. This study set out to address this deficit. There was a general consensus from this study that people with SMI had reduced access to physical healthcare services in comparison to other citizens in Ireland. Monitoring disease is a vital part of care for patients with SMI. Timely and optimal person-centred palliative care regimes will enhance independent living; prolong the patient’s life span; be cost effective and will prevent the adverse effects of illnesses common among patients with SMI. This study has made an important contribution to identifying that a substantial need for palliative care does indeed exist among those with SMI in Ireland. 'People who are mentally ill are less likely to be admitted for cancer treatment', theJouranl.ie, 8 October 2017, Available at: http://jrnl.ie/3627593 [accessed 12 March 2017].